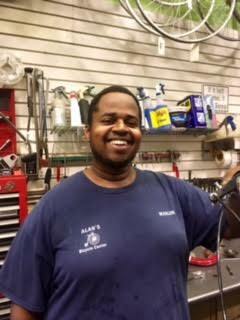 Here at the Service Department of Alan’s Bicycle Center we believe that a well-maintained bike is a happy bike. Stop in or call 772-562-2453 for an appointment. FREE BIKE CHECK - we check your bike from head to toe. Every bike is thoroughly checked over so that all your concerns are taken care of which ensures that the bike is returned in the best possible condition. This also avoids that dreaded call - "Oh by the way, we found something else wrong". Hello, thanks visiting the "online" home of the Bike Tech Center. 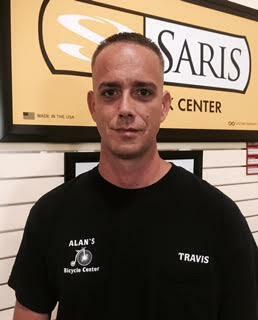 My name is Travis and I run the master service department for Alan’s Bicycle Center from our facility in Vero Beach, Florida. When you drop off your bike to our store we do a complete inspection and give you a quote for the service you would like to have done. 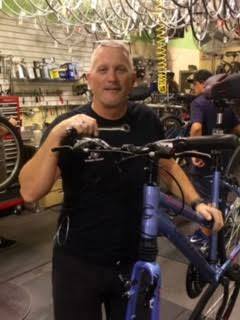 Your bike then comes to me, or one of our top techs. I always want to return your bike to 100% so you can have the best riding experience possible. Remember, a well-maintained bike is a happy bike! I look forward to working on your bike soon. 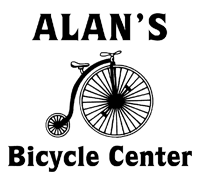 Copyright © 2015 Alan’s Bicycle Center. All rights reserved.